PSSSSST! Can you keep a secret? A dirty little secret? I am terrible at laundry. But I have a secret weapon that has helped me overcome my secret weakness. Yep, you can tell by my photo what my best laundry secret is. It’s using Shout spray! Before I learned about the beauty of using a stain remover like Shout, I was used to throwing what I thought were lost causes in terms clothes. Clothes that had seen better days, and were too stained to wear in public anymore. However, shortly after my little girl was born, my good friend (Sarah, mom of 6) told me how she kept her kids’ clothes pristine. If you know Sarah, you will know that even with 6 kids, she and her kids are always styling mA. So when she told me to use Shout spray on badly stained clothes before I did my laundry, you better believe I listened to her! Now my girl has seen her clothes reused till she outgrew them. It doesn’t matter how badly she stained them. Pee, poop, spit up, throw up, and baby food have all been obliterated in the wash thanks to Shout. Do you have a great laundry secret? Let me know. Until then, run (don’t walk) and pick up some Shout to get perfect laundry every time. We always use shout on his poopy stains, thought we were the only ones. 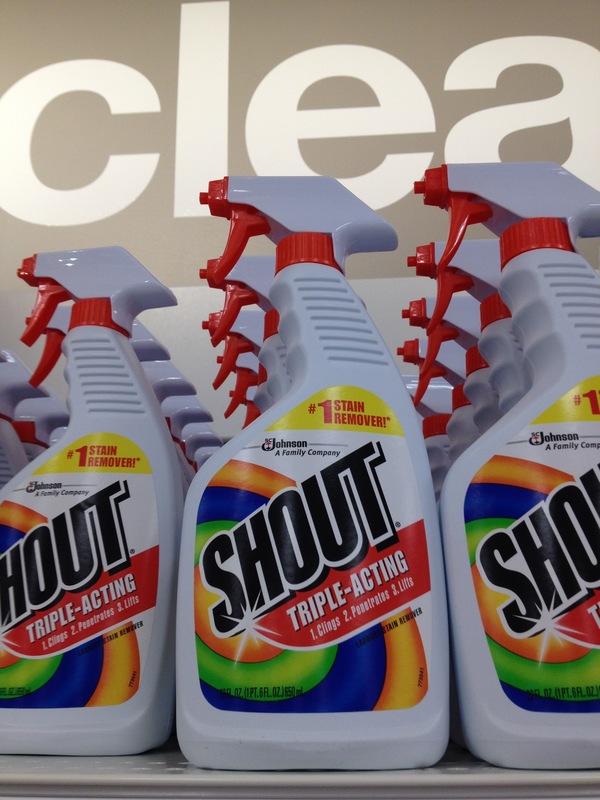 Also, we used shout on carpet stains if Oxyclean spray didn’t work.